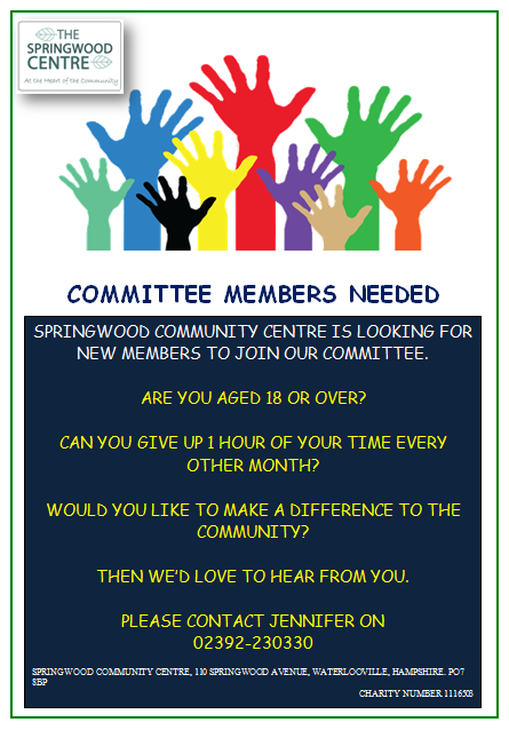 Springwood Community Centre is run by a committee on behalf of Havant Borough Council. We are currently looking for new committee members to join us. Meetings are usually held on a Monday morning every other month. If you are aged 18 or over and are able to give up one or two hours for the meetings, then we would love to hear from you. *Improve your CV: A position on responsibility can be very desirable to a new employee. *Develop skills such as leadership, communication and problem-solving.